Yesterday’s successful Metro venture meant that today I could do the touristy thing. I opted to visit Splendid China Folk Village, which is part of the massive Overseas Chinese Town (OCT) segment of Shenzhen (Window of the World is also part of OCT). Splendid China Folk Village used to be two separate theme parks, one with miniature replicas of famous Chinese buildings and landscapes, and the other a collection of sets about the various cultures that make up the Chinese nation. Window of the World features miniature replicas of buildings around the world, the Splendid China focuses on miniatures of Chinese structures. All of the Chinese structures known internationally have a presence in this theme park: The Great Wall of China, The Forbidden City, the Emperor’s Summer Palace, and Jiayuguan Fort protecting the western end of the Great Wall. And places not so well known. The park is spread across about 30 hectares, it is just not possible to get through everything in a day, so expect repeat visits. Also, China has a very very long history, so there are lots of diverse locations. China isn’t one culture, although they all share a common written language, there is a lot of diversity, a lot of richness. The model of the Great Wall of China covers a lot of ground, and at times it seems to protect all the other models. I really liked Jiayuguan Fortress, it’s something I’d love to see reconstructed in Lego, just a gigantic defensive structure attached to an even more gigantic structure. The first visible model is the Potala Palace, built on a mountain top, and home of the Dalai Lama until 1959. It’s a beautiful structure build on an equisite location, and the model replica is superb. Because of the hilly nature of the park, as you spend time looking at the Great Wall, the Jiayuguan Fortress and the Potala Palace don’t forget to look behind you because you get to see the rest of the park far below. There’s also a segment of the park covering the architecturally advanced bridges, beautiful and using revolutionary techniques that are now well understood. And still structurally beautiful and well crafted. The park was quite busy today, it started off as a cool day but warmed up to a typical Spring day. With the live open-air performances and the size of the crowd it was noisy at times. The food stalls were doing a roaring trade, lots of kebabs/skewers, and I notice corn on the cob being quite popular. And there was a Korean skewer stall playing Gangnam Style on repeat throughout the day, what is there not to like! 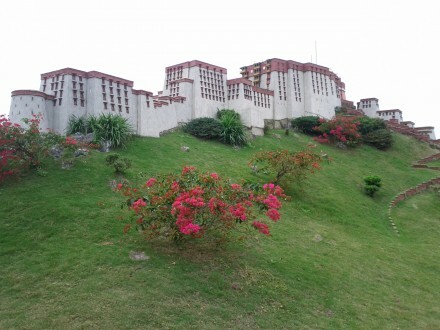 The culture village is a more hands on full-size replicas, of homes and pagodas, and bridges. All celebrating the diverse cultures of China. A wind and rain bridge, designed for people seeking shelter in that weather, is also known as a place where couples meet and fall in love. There is also full size replicas of selected examples of the Stone Forest, and other naturally occuring features of Chinese landscapes. There is a lot of history and stories crammed into this park, it is quite something. And a good place for a long walk. Luoho is known as the shopping district of Shenzhen. So densely packed with shopping malls, and hotels. It’s a perennial favourite for Hong Kong weekenders. MixC is one of the largest shopping center in Shenzhen, it’s 6 floors spread over three city blocks. It’s another spotless shopping mall, with famous brands, Gucci, Louis Vitton, H&M, Miss Sixty, Burberry. The usual catalog of American Fast Food and pizza places. 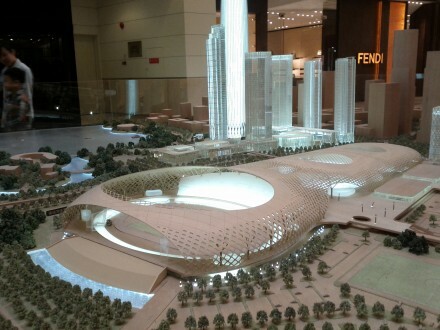 One interesting aspect were the large city model displays on the ground floor. I guess they are advertising new builds, future new homes and city expansions. There’s a lot of creativity and ambition in these designs. The main supermarket is Ole, which has a lot of imported goods, and priced accordingly. Though the locally sourced goods are cheap by UK standards. I had a wander around, couldn’t find sandwiches, but everything else was there. Cheese and margerine are expensive, so I guess that’s all imported. The mall itself feels very Western, I could be in a US city if I didn’t know any better. There were quite a few people there today, not busy, but not quietly empty either. Toys-R-Us was busy. I walked down Shennan Avenue, trying to make my way to Lizhi Park. On the way I came across the Shenzhen Stock Exchange, a splendid blue-tinted-glass skyscraper, Panasonic head offices which reminded me of a rubix cube mid-twist, and the Shenzhen Great Theatre which is a low slung building compared to its neigbouring skyscrapers. 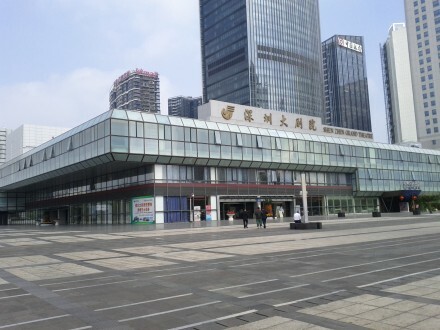 The Shenzhen Great theater takes up a city block, it is as big as the wide empty space around it. On an adjacent corner to the theatre is a huge painting of Deng Xiaoping, the Chinese premier who established Shenzen as a Special Economic Zone. That took Shenzhen from a fishing village into a huge and thriving city with strong commercial ties with major international companies. It is an experiment that resulted in a huge success. 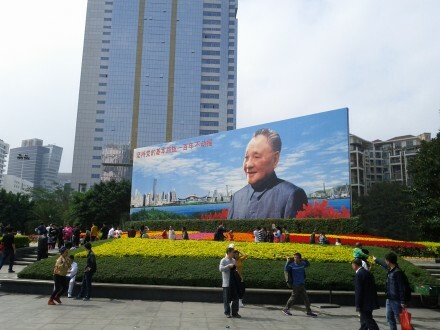 Shenzhen has flourished because of that, and so Deng Xiaoping is deeply respected. I passed Lizhi Park. The entrance was right next to the Den Xiaoping painting. 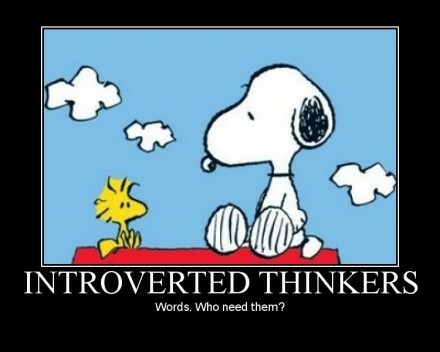 Hey, I’m an introvert, and there was a crowd there on the plaza, so I walked past. When I realised I walked past the Park I turned around and headed back. I didn’t go through the main gate, but walked down the boulevard outside for a bit. And then I headed back to the hotel via the Grand Theatre Metro stop. 4 hours on my feet, at my old age. The Shenzhen Metro is surprisingly easy to use. The ticket machine offers the choice of Chinese, pinyin and English and is touchscreen-driven. Which means selecting a station (optionally filtering by metro-line first, and then picking a station from it), then selecting the number of tickets. At this stage the default option is one adult ticket, but it’s very easy to add multiple adult and childrens tickets. 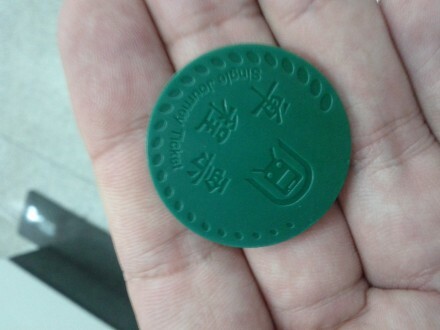 Then deposit the money, and out pops a green plastic coin-shaped token. This is an RFID chip. The RFID chip, and any change drops into your palm when you insert your hand into the deposit slot. That means you should insert your hand palm facing upwards. Today I got it wrong both ways, and when I pulled my hand back out there was a couple of yuan coins and the green RFID token on the back of my hand. One catch is that the ticket machines only accept coins and the 5 RMB note. No other notes. I knew that before I arrived in Shenzhen (thanks to “China: How it is“, an awesomely useful set of YouTube videos by serpentza, a South African who has been living in Shenzhen for 6 years. One in particular about Shenzhen’s Public Transport system). I took the option of asking the concierge of the hotel to exchange a 50RMB note for 10 5RMB ones. You scan the token at the ticket barrier much like an Oyster card, and it opens the gate. At your destination, you insert the token in the coin slot to open the ticket barrier for your exit. Shenzhen’s ambition is to be a global city, and the Metro is designed expressly for that purpose. Everything is clearly signposted in Chinese and English, On the platform a vertical list of stations colour-coded to make it easy to understand which platform goes which direction. Each platform also has an overhead TV displaying the number of minutes to the next train. Onboard the train, the announcements are in Mandarin, Cantonese and English. Also, above every door is a map of the line you are on, with red lights indicating the stations already visited, and green lights for those still to be visited, and an orange light for the next stop. And an arror to indicate which door to use when exiting the next station. The trains, and the station are immaculately clean. There’s no eating or drinking permitted on the train. Travellers are advised not to lean on the doors. And there are feet markers at each station platform to indicate where to stand to wait for a train in a way to allow passengers on the train to get off quickly. That’s something Transport for London should consider. As a regular London underground user, I found Shenzhen’s Metro a far more pleasant experience. Granted, I wasn’t travelling during an equivalent rush-hour. I don’t mind standing on a train, I just don’t like being crammed in. So, I now have a piece of one plan of getting back to Hong Kong International Airport, using the Metro to get me back to Hong Kong. That puts both Futian Port and a ferry from Shekhou right on the radar as options now. Conversationally, I’m well aware I’m in the deep-end here in China, and the people here are very helpful despite my obvious short-comings. Certainly that limits what I can do here, what I can express and talk about, but I have moderate ambitions and expectations. But intentions don’t always need words. A nod and a smile is sometimes all that’s needed (that’s all the lady at passport control in Huanggang Port on Sunday to tell me my paperwork was in order). It is less of a learning curve and more of a adapting curve. It’s the experiencing a different culture that’s important to me right now, not checking into a list of venues. My success is whether I can be myself and have good memories of this trip, or fail fast by figuring out pretty quickly that I’m not up for travelling to foreign countries. Learning Mandarin, like any language will take time. I managed a week working in Paris by myself once, falling back to French learned in high school 15 years earlier. I managed, including a shopping trip for necessities. It was only a week, and I had the fallback plan of asking a French work colleague for help if I ever did get stuck. I followed their lead for a visit to the sandwich shop for lunch, to the extent I went back twice more by myself, with everything I needed memorised, politeness, and a slightly nervous smile. Small steps, set up a comfort zone base camp, a secure foundation in which to grow. Not understanding scares me, I really don’t like not knowing what is going on. I had some uncertaintly about whether I bought the right ticket for getting from Hong Kong to my hotel in Shenzhen, but it looks like I got the important bits right. I had a backup plan of getting from Huanggang Port to my hotel; several slips of paper with the address of the hotel written in both English and Chinese. That’s my backup plan throughout my trip if I ever get lost. Hop into an official maroon-coloured taxi, give the driver the paper, and just accept that there’s the risk of being overcharged, but I’ll get back to my hotel. My friends know me well, when I’m not in my comfort zone, even my backup plans have backup plans. They joke, but they know that is how I deal with uncertainty. I overthink things, in relationships that’s a problem, but in expanding my always-too-limited comfort zone, it’s how an introvert breaks out of his current shell into a newer and bigger shell. As I slowly feel my way around a brand new city, I find it better to take little steps, get to know the area, get to know what’s available and just build a small comfortable zone. A comfort zone in Shenzhen, a base to start really exploring what the city has to offer. The first full day of my stay in Shenzhen I spent walking around Futian, finding places to buy food and drinks. Surviving on hotel resources is expensive, so finding a decent supermarket is key to not running out of money in a far distant country. My first stop is just two blocks away from the Marco Polo hotel, a shopping center called CoCo Park. This U shaped structure takes up an entire city block, and four storey’s including one sub-ground level. It’s U shape means there’s a split level open area in the middle, a natural enclosure for outdoor events. Coco park’s first level is replete with brand label clothes shops and Starbucks. The basement level is taken up by the Jusco department store – an established Japanese department store. It is a proper department store, each department feels like a separate store inside of itself. I thought they were just independent traders, but Jusco is the entire floor. Note: don’t go there if you are hungry, the smell of freshly created delicacies hits you in the face as you walk past Jusco’s food hall deparment. The second and third floors are packed with restaurants (Shenzhen seems to number the ground floor as the first floor), the typical American fast food brands, Japanese restaurants, noodle bars, Costa, and a Cuban steak restaurant (including the obligatory Che picture). On the outside eastwards facing side of Coco Park is an outside beer garden. Several beer themed establishments each run their own wood seats and tables, probably a good venue for the warm summer evenings. And soon to open in CoCo park is a German restaurant. I found CoCo park very very quiet, only a handful of shoppers. I presume that’s the effect of Chinese New Year, I don’t really know. The place is immaculately clean, and feels like a typical glamourous mall from Western cities. Polished concrete throughout. Leaving CoCo park someone was playing a Westlife single loudly. And that’s when I discovered how music is traded in China. There are groups of people riding bicyles, balanced over the front wheel is a wide box containing hundreds of CDs. So wide that it triples the typical width of a bicycle + rider, and wide enough that attached underneath the box of CDs are two rather big speakers blasting out whatever is currently playing. In each shopping center, or little strip of shops, on a near street corner there’s one of these music sellers. I guess the economics and availability of distributing music in China doesn’t extend to having a dedicated shop or department. Next stop was the Central Walk Mall, again, just three blocks from my hotel, and across the road from Shangri-La Hotel in Futian (and with the overhead walkway between the two, there’s no road to cross). Central Walk is just one storey high from the outside, but inside it has 3 sub ground levels. The entire shopping center is one large ring with an open air center. So it sounds very busy with the noise generated by the amusement arcade and the cinema center on the 2nd sub level. The third sub-level is taken up by the Carrefour department store – an established French label. The main food area feels just like a Tesco super store, but the other departments have their unique feel. The strong smell of leather catches you as you enter, thanks to the shoe department placed right at the entrance I used. Decently priced leather shoes. I found bottles of Coke. Shenzhen seems to have Coke Zero but not Diet Coke or Coke Lite. At 2.30 RMB per 500ml bottle, that’s four times cheaper than the typical special offers in the UK for the equivalent product. I’m certainly not going to be coke-deprived on this holiday. And a 2 for 1 offer on Tyrells British Crisps means I have an emergency stash. And of course, being the paperphile I am, I couldn’t resist picking up a notepad or two. Only two this time. The typical paper quality on offer is just substantially better than equivalent offerings in a UK supermarket. The paper feels like high quality writing paper, not the UK exercise-book / exam pad level. And still just as cheap. 5RMB (under 60p) for a spiral bound notepad, and 7.50RMB for an excerise book somewhere between A4 and A5 sized. One interesting feature of the exercise book is a page that shows Latin alphabet characters at various sizes, and an intriguing line showing the size of Chinese pictographs of an equivalent size. So out of fascination, into my shopping basket it went. Carrefour bakes its own bread, and it’s supposed to be very good quality – that’s the selling point for expats. There is also supposed to be a top-quality sandwich shop near buy that’s recommended, but I haven’t tracked it down yet. A helpful and polite checkout lady had no problems working around our lack of common language, I didn’t understand the verbal question, so we went for visual cues, and with a nod from me, I also paid for a carrier bag for my purchases. At least I could thank her in the one piece of Chinese I do know and am comfortable speaking. I wandered into sudan, a computer store, firstly to find some replacement Sennheiser inter-canal earphones. They were 530RMB, so about £60 for the CX-300s. That’s quite a lot outside my price expectation for a decent set of earphones. My second reason is to see the typical Chinese computer setup. With a pictograph based writing system I was intrigued to see how keyboards are set up. China has a variety of different ways of inputting pictographs, so I was interested in seeing how the general computer is set up. And I found the bog standard qwerty keyboard. No pictographs in sight. No specialised keyboard, no obvious alt or ctrl base modifier keys. Nothing. So I guess that means either chinese text is entered as pinyin, or software maps the keyboard into a set of 15 or so strokes so the labels on the keyboard are just fluff. Looking at someone working on a Dell laptop inside a small cosmetics stall outside stall confirmed that she was on a standard qwerty keyboard. The intrigue remains unresolved. I did find one shop that stocked CDs. I wasn’t ready to walk in and find the two Mandarin albums I liked on the flight in. Small steps. On the outside facing facades of Central Walk is a strip of restaurants, again a selection of diversity from American, through to a typical (relative to London Chinatown places I’ve tried) Chinese restaurants. Central Mall has a Subway sandwich shop. I decided to find the green area nearby the shopping centre, and I realised looking back towards the shopping center why I couldn’t see it from my hotel room. It wasn’t that there was a skyscraper in the way, I can actually see Central Walk from my hotel room, it’s that green area of trees in view just past the skyscraper. Yes, the shopping center looks like a city block of trees, because it’s only one storey high, and the roof is covered in greenery. And that to me is part of the magic that is Shenzhen. The fastest growing city. Big business flocking to base their Chinese headquarters here (e.g. the Lego company). Multiple skyscrapers being built. But with a balance of concrete jungle and green breathing spaces. And where better to put up a green space than on a roof of a low building? Why waste that space, when it can be effectively used to balance out the emissions that a popular shopping venue will cost? Granted, the green areas are designed and built. I don’t know whether any green areas are natural. I know the fake rocks probably hold a speaker for a connected audio system, but they don’t hinder or interfere with the ecosystem around it. Granted, the planned lake in the city block isn’t finished yet, but when it is, it’s another step forward for creating a sustainable ecosystem. 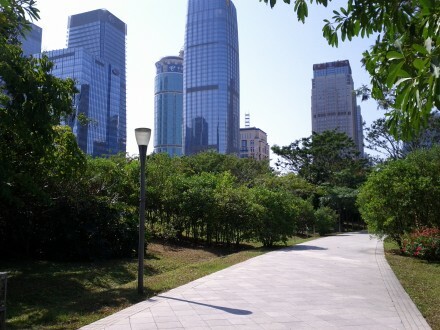 There is a deliberate balance taken in the design and layout of Shenzhen. There is no concrete jungle. There are small clusters of skyscrapers broken out with smaller city-block sized areas, smaller clusters of dense residential blocks, and dotted with green areas. of just grass and trees, of plants and ecological systems that live alongside concrete giants. I can see this being a place where a lunchbreak to a green area is considered normal. It’s balance to the people who work in Shenzhen, as well, I guess as a balance to the overall global ecosystem. Shenzhen is almost like Hong Kong re-imagined. It certainly benefits being within a stone’s throw of Hong Kong, and the experience of Hong Kong has been taken into account and Shenzhen is benefitting from that. Of course, Shenzhen, as a city is about 35 years old, so it hasn’t had to readapt like Hong Kong and London. That newness lends itself to a Sim City like experience. It has indeed been thought out and carefully planned, there is attention to detail, attention to the flow of people and vehicles. Attention to a city’s need to breath. It is no Milton Keynes, or cookie-cutter US suburb, it’s a living, flowing, breathing city that’s stil very much growing, and yet to hit a major pain point. My trip to Shenzhen involves flying to Hong Kong and making my way through to mainland China. Disembarking in Hong Kong International Airport is very similar to Heathrow, walk off the plane, wander down a few long passages. Then passport control, and then baggage retrieval. Passport control was fairly empty. I guess landing on Chinese New Year is part of that, and most of my fellow travellers seemed to be in transit to other destinations. So I walked through passport control in the same easy manner as returning to Heathrow. Leaving arrivals lands you in the middle of a three level mall. It took me a while to find where to buy a bus ticket to Shenzhen, since you can see areas A and B immediately, area C isn’t marked or signposted. So I followed signs indicating transportation to mainland China and found myself in the right place. There are a number of ways to get from Hong Kong to Shenzhen. My plan was to take a Go Go Bus, because both the Hong Kong International Airport website, and an old bus schedule from the Shenzhen Post website show that their service includes stops at various hotels in Shenzhen. So being my first real trip, and in a land that is quite different to what I’m accustomed to, it seemed to be the most sensible choice. Expats in Shenzhen recommend catching the Hong Kong metro over to the Hong Kong side of the border crossing. It’s both cheap and quick, but it does take some knowledge of the underground system, and some general local knowledge. For frequent travellers, it’s probably worth figuring out. Another interesting option is the ferry from Hong Kong Airport to Shekou in Shenzhen. One potential bonus is that the ferry company will deal with picking up your luggage and getting it on the ferry, and it also means you don’t have to enter Hong Kong through passport control, you’re effectively transiting to Shenzhen directly from inside the airport. I was interested in this path, but the destination is Shekou, which means needing to catch the Metro from Shekou to Futian where my hotel is. Again, not ideal for the first time traveller. There are a number of bus companies operating services from Hong Kong Airport to Shenzhen, or more specifically Futian. They are all located in area C of the airport. Before I flew out I made sure what I wanted, so I was armed with both the company names I wanted, and a bus schedule, and the right price. I’ve read a few stories about people paying over the top for transport to Shenzhen, including having to pay again after going through Huaggang Port. I’ve read stories about booking a sky limo (effectively a people-carrier) and paying a hefty price because it is just you in the car. So I kind of knew what I wanted, which does really help. The staff at the mainland China services desks see you coming along, and they are very adept at getting you to their desk. It looks to be quite a competitive environment, of course, the economies of running a bus service relies on filling as many seats as possible. All the staff were keen to sell you a ticket for a bus, which means if you don’t know exactly what you are looking for, you run the risk of not getting the place you want at the price you expected. I was armed with a company name, their logo, and their schedule of services. So I could point to the exact bus schedule I wanted, and basically went to three counters until I found the right desk. I wanted a Go Go Bus to Shenzhen, where one of my stops is the hotel I’m staying at in Futian (Marco Polo, Shenzhen). What I got was a Sky Limo, from Go Go Bus. I guess buses and people carriers are the same thing, or possibly because it’s Chinese New Year it’s not economical to run a actual bus. But it was the right company, and they confirmed they would organise a vehicle on the Shenzhen side to get me from Huanggang Port to my hotel, and the price was that I expected for the bus. So the only ambiguity is the vehicle itself. 3 out of 4 isn’t bad. So I paid $170 (Hong Kong dollars), got a note about how to find their offices at the Shenzhen side of the border, a border crossing slip to fill in, and a receipt that documented clearly I was paying for transport to my hotel in Shenzhen, with the correct price. The fast hard selling is a little daunting to deal with at first. It’s best to be polite but firm. Not to agree to something you don’t clearly understand, and reduce as much ambiguity as possible. With the hard selling, there’s also the amazing customer service. I was effectively chaperoned right to my hotel. Staff were very friendly, and looking out for me each step of the way, so the likelyhood of getting lost was close to zero. 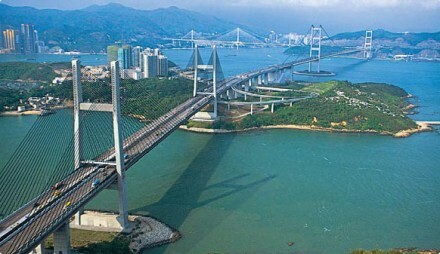 The first people-carrier took us from the Airport and over the imposing bridges connecting the main islands of Hong Kong. The bridges were impressive – multiple bridges on the scale of the Severn bridge. Lots of densely clustered residential sky scrapers. There was fog so I couldn’t see far. I was hoping to see the iconic Hong Kong skyline from the bridges, but either we were too far west to see that, or it was hidden by the fog. I saw a few ferries and massive yatchs below. From what I could see Hong Kong looked quite something. The highways and the typical views reminded me of countless travelling between Pretoria and Johannesburg. Even the driving style is similar. After the bridges there’s a long tunnel under a mountain that took us inland directly to the border. It’s about a half-hour drive from the airport. The driver collected our passports at the airport (there were 6 of us making our way to Shenzhen), and at the Hong Kong side of the border it was just a process of the driver handing our passports to the person at the checkpoint for checking. Then we were driven to the building of the Shenzhen side. The Shenzhen checkpoint is a large building, about the size of a warehouse. You walk in with all your luggage on one side, through a Passport Control (with the slip provided by Go Go Bus at the airport), then an X-Ray machine scan of your luggage, and you exit on the opposite side, and you are in Shenzhen. I was immediately spotted by a Go Go Bus representative, who made sure I wouldn’t get lost looking for my connecting service. And after waiting a few minutes another people carrier arrived (this time a left-hand drive), and took me to the hotel. In all that time, a simple thank you in Chinese (xie xie ni), and wishing a happy new year (in English, because I forgot part of the Mandarin of it) was sufficient for my smooth progress, and a few smiles and nods. I forgot what Happy New year was (Kung hei fat something… – I forgot the last word: choi. Thanks Cathay Pacific for the teaching me that), I picked it up on the flight, it sounded quite staightforward, so I didn’t write it down because I thought I’d remember it. Beginner error, jet lag and tiredness destroys memory. And I was dropped off in the hotel’s drop-off area, into the safe hands of the Marco Polo hotel staff. For a tired and jet-lagged tourist, it was a smooth and relatively straightforward experience. Again, do figure out ahead of time what you need, and what options there are. Don’t jump into the first offer that sounds like what you want, spend the time to make sure, and ask questions. My only problem now is to figure out how to get back to the airport. It’s one thing getting a bus from a high-traffic area to a route that includes your hotel, it’s a different problem the other way. So I don’t know yet how I’m getting back to Hong Kong on the return trip. My week in Shenzhen starts with a Cathay Pacific flight from Heathrow Terminal 3 to Hong Kong, and then hopefully a bus to take me to the mainland Chinese border and then through to the hotel. I have been flying British Airways for almost all of my South Africa flights, mostly for convenience and consistency. So of course, flying Cathay Pacific essentially be directly compared to my previous experiences with British Airways. It might be the choice of aircraft; British Airways fly Boeing 747’s to Johannesburg, and Cathay Pacific are using Boeing 777’s. The difference in cabin quality is distinctly noticeable. Cathay Pacific is a step up quality wise. The seats feel wider, the entertainment system more modern, the design of the fold up table better thought out. There’s even an iPod recharging USB connector and an inset shelf for small items like an iPods, earphones, glasses. The table folds out. So initially it’s deep enough and with an inset space for a drink. That then unfolds into a standard sized food table. But clever enough, with the table locked into it’s upright position there’s a cup holder underneath in a two-hinged gyroscope that will hold a cup upright (in a relative sense). The entertainment system is sleeker. No mass of buttons on the armrest. All touch-screen, with motion sensors for turning on and off. A good selection of movies, and a couple of episodes of a variety of television shows, sometimes a full season. Music collection covers the typical Western selection, but also genres for Japanese pop, Asian, as well as Mandarin music – all charted stuff. I listened to two Mandarin albums, and they compare equitably to Western fare, so I’ve found two artists that match my tastes, and might look out of buy a CD or two of them here. No audiobooks; I quite liked that British Airways offer that, Ian Fleming’s Moonraker for example. Though audiobooks are difficult to consume on a long-haul flight, I tend to doze off in patches, so I miss out chunks of the audiobook. But, they have an external camera as part of their moving map. And an ace moving map implementation. It’s in 3D, mapped onto a globe, rotating around the plane so you can see in all directions interesting places. Not much to see at night, or above cloud cover. But landing, wow. The camera is lined up on the underside of the fuselage a few meters behind the front landing gear. Just amazing to watch a runway appear, and the tires making contact with the ground. I thought the route from London to Hong Kong a surprise. Over Amsterdam, skirting Copenhagen, Estonia, then right through Russia: St Petersburg, Moscow, Nizhniy Novgorod, Chelyabinsk, Urumqi. Curving around the Roof of the World as we flew over Mongolia, over Chengdu approaching Hong Kong from the north-west. Taking a wander over the Pacific to line up for the main runway at Hong Kong International Airport. I spend quite a bit of time writing up some interesting or useful Chinese characters in my notebook. London, Hong Kong, measurements and time periods. I watched Looper, it’s a movie I’ve seen in the cinema, and I wasn’t really up for watching something I hadn’t seen before (might watch Lincoln and Lost in Translation on the way back). I noticed the entertainment system had chess against the computer, so I gave that a try on it’s hardest level. As we were flying over Russia places with a deep and recognisable association with chess, I was trouncing the flight chess engine. It had no openings book, no positional understanding, no strategic plan, and a too short move horizon. Playing the queen’s knight out after my queen’s pawn opening move the position solidified into a Czech Benoni, where I did the usual Petrosian thing of redirecting the kingside knight to d3, and attacking Black’s pawn chain on the queenside, and restricting Black’s play on the queenside. I got a niggling pin against the Black queen that the chess engine didn’t really appreciate, and his position just collapsed when he lost the c5-pawn, after that he was losing material on every move. I found a few nice nuances in move order, but the onboard chess engine was in no position to really appreciate that. Not really a good homage to the famous Russian chess tournaments played in cities we were flying over. The dinner menu was quite interesting. I opted for the Lemon Ginger chicken and rice which was tasty indeed. The other two options were fish and potato, and macaroni and cheese. The plastic cutlery was a step above the typical plastic cutlery (so two steps above British Airways’), thicker plastic with a decent bulk in the handle for grip. My meal came with a tub of ice-cream, not a cheap affair, but “fresh Jersey milk and rich double cream” vanilla ice-cream. That beats the super-smooth chocolate on Swiss Air flights. Breakfast was a choice between an omelette and seafood congee. I was tempted by the congee, since I quite like it (it’s a rice porridge, explained our host), but I’m travelling on an empty stomach racked with nervousness and a little stress, so I opted for the omelette and welcomed the sausage that came along with it. The flight was partially empty. The seat next to me was free (I always prefer a window seat), and there was at least one empty row in Premium Economy. So there was lots of space for everyone. I’d say the flight was about 70% full, most of the passengers were taking connecting flights to South East Asia, Australia and Japan, I guess. Hardly anyone was queued up in the passport control to exit at Hong Kong International Airport. The entire flight was about 11 and a half hours. We were reasonably on time. I’ve never crossed across more than two time zones before, so I found it difficult to adjust the time with the flight conditions. Right now I’m into my second wind of the day, and it’s half-past eleven at night. Talking to friends who are settling down for lunch. Now to figure out how to work through the effects of being displaced forward eight time zones I think I’m lucky I’m an early riser (relatively). Theme created by Site5 .